The national anthem of Saudi Arabia is played over the sound system in the stadium, followed by the national anthem of the United States. All of tonight’s matches are briefly previewed in the show’s opening video. Good match. There weren’t any surprises here, but it was a very solid match. I think this was more about history than anything else. 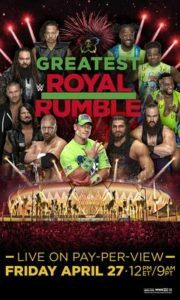 The history between these two men, and the history of this match being the first of the Greatest Royal Rumble in Saudi Arabia. After the match, Cena says he is honored to be allowed to participate in tonight’s event. He thanks the Kingdom of Saudi Arabia for their hospitality. “The Best of Both Worlds” video for the upcoming co-branded PPVs. Very good match. Both men seemed extremely energetic for this match. They started quickly and never really let the pace fall. This had some very nice and exciting moves as well as more than a little bit of flying. The finish was great. Good match. I don’t think the result was entirely a surprise, but the match was fun. The buildup to the finish felt like it dragged a little compared to most of the rest of the match, but it was still good. Pretty good match. Nothing really wrong with it, but it felt kind of short and uneventful. Not a bad match though. And this was another one where the winner felt like a foregone conclusion based on what happened in the Superstar Shakeup. Byron Saxton joins Jerry Lawler, Jim Ross, and Booker T as they talk about the first part of tonight’s show. The social changes in Saudi Arabia are looked at. Mike Rome welcomes Chris Jericho. Jericho is happy to be here, and he’s happy to share the ring with 49 other superstars. Jericho also starts putting people on The List. Mike Rome welcomes Daniel Bryan. 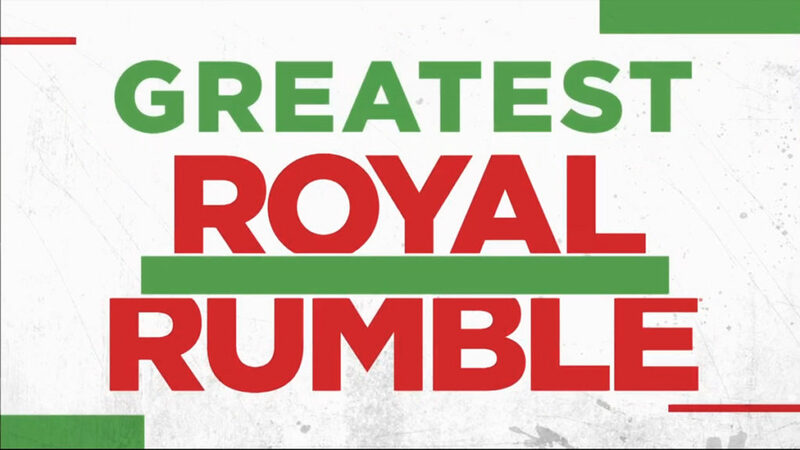 Bryan is ready to win the biggest Rumble match in history. Pretty good match. The Usos built a little offense, but I think they could have done a lot more. If given more time, I think this match could have been great. With its short duaration, this ended up being a fairly dominant performance from the Bludgeon Brothers. Buildup for the IC Title ladder match. Good match. I liked the suddenness of the finish, and the action building up to it was good. I’m not surprised by the outcome, even though I was pulling for someone else to win. Half of the people (the SmackDown people) didn’t really even seem to have a chance to win, so it was really down to two men in my eyes. Despite that, I liked the match. Mike Rome welcomes four prospects from recent tryouts in Saudi Arabia: Nassar, Hussein, Monsoour, and Fisal. As some of them speak, Ariya and Shawn Daivari interrupt and approach the ring. Ariya says none of the prospects are true athletes. The Daivari brothers are from the strongest nation in the world, Iran. Ariya shoves Fisal, so Fisal shoves Ariya. Shawn then gets beat up by the other prospects. Very good match. Nothing was settled here, but it will certainly lead to a great final match between Styles and Nakamura. I liked the action, and despite one super obvious setup to get the referee in the way of a move, everything about this was well done. Ultimately this was a plot point within the larger story, but it was a good one. The Undertaker is a legend. This was fun. It was more about spectacle and maybe a but of nostalgia more than anything else. Undertaker was methodical as Rusev tried to keep the pace up. I enjoyed this more for the moments and the reactions from Rusev than for the action itself. Buildup for the steel cage Universal Title match. This was about what I expected. It was pretty much nothing but big moves, kickouts, and a “controversial” finish. The finish was kind of fun, but it also doesn’t work terribly well. It makes it feel like a bad call on the ref’s part rather than an unfortunate result for one guy because he’s just too powerful. Or whatever. The match was fine for what it was. 41 Braun Strowman 0:22:16 13 WINNER! This was fun. I don’t think it was the most exciting Rumble match ever, but I enjoyed it for the most part. LIke a lot of Rumbles, the order of the participants felt overly choreographed at times. I like to believe it’s random, but when Owens, Shane McMahon, Jericho, and even Big Cass are all stacked at the end to create some SmackDown drama, it pulls me out of my suspension of disbelief. I did like some of the surprises, though there weren’t very many surprise entrants. I also like that this wasn’t for any title shot, so it felt a little more open in regards to who realistically had a chance to win. Vince McMahon and a representative from Saudi Arabia present Braun Strowman with a trophy and a championship belt. This was a long show, but it kept me mostly entertained. I liked a lot of the matches to varying degrees, but after everything was finished, it didn’t feel like this accomplished much of anything. No titles changed hands (not including the vacant RAW Tag Titles being won), and in the grand scheme of things it felt like this could have been just a glorified house show. A VERY glorified house show, but a house show nonetheless. I don’t feel like anything that happened here will have much of a bearing on ongoing story lines. It was a fun show though. I think this might have been the most fun and memorable match for me. The Cruiserweight Title match was also very good. A lot of the other matches were good, but some of the finishes made it so I have a hard time picking them.